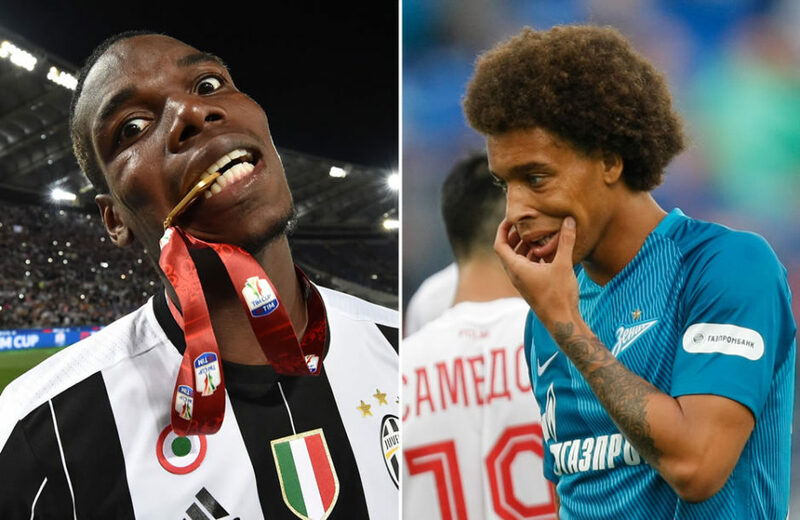 Juventus director Beppe Marotta gave a lengthy interview to JTV where he revealed Paul Pogba’s reasons for leaving while confirming that Axel Witsel wants to join Juventus. Marotta began by addressing the clubs objectives for the coming season, namely the elusive Champions League trophy. “Every time Juventus take part in a competition, it is their duty to attempt victory. We must always target the ultimate and aim to go all the way, so naturally the Champions League is something we want to achieve. “It is not a dream, nor an obsession, but quite simply an objective for this club. “Now football is to be considered a business, so when there is competence and motivation, you’re more likely to achieve your aim. Stephan Lichtsteiner was surprisingly omitted from the Champions League squad but Marotta was quick to point out the reasons for his exclusion. “We are very grateful to Lichtsteiner for all he has done, but the thing about a football team is there’s competition for places. All players should be happy when champions arrive, as it strengthens the team overall and increases chances of success. Claudio Marchisio is expected to return to the Juve squad soon, following a serious injury that sidelined him for the entire summer. “Marchisio had this serious injury, but the predictions are within a couple of months he could get back to being the Marchisio of old. He’s a guarantee. We are all here waiting for him, as not only is he the player who always wore the Juventus jersey, but he’s also precious for the team. Marotta turned his attention to the transfer window and Juve’s dealings over the summer. “We are satisfied with the market and I wish to thank all those who worked to achieve these results. “It is only normal that objectives are not all achieved, otherwise we’d have perfection. Not everything went as we hoped, but we are still very satisfied, as we did get many of the targets we had set. “The transfer market over two windows in the summer and January is the synthesis of work that happens throughout the year monitoring players and situations. “That means we are already working for the future to find promising young players and interesting opportunities. “I hope we don’t buy anyone in January, as that will mean the current squad did brilliantly, but the aim of Juventus is to improve always. The January window is complementary to the current squad, so it’s a bit early to say, but we are keeping an eye on various situations. “We always said we never wanted to sell Pogba, as he was an important figure for the club, the Coach and the fans. He wanted a change of scenery and to experience a different situation, so faced with that we had to enter into negotiations and try to make him happy. “We had already targeted Higuain and he was the main image we had in our head, but it was a coincidence that this happened at the same time that Pogba asked to leave. “In recent years the figures have climbed rapidly, even to an illogical degree. Mind you, revenues have increased, individual clubs have big backers and this money is ploughed into the transfer market as well as the wages. Finally, Beppe discussed the break down of Axel Witsel’s transfer to Juve but insisted a deal may still go through. “The squad in its entirety is competitive, certainly stronger than last season. Naturally it’s not perfect, so there are weaknesses, but we can count on someone like Kwadwo Asamoah who barely played last year and Mario Lemina who is turning into a little champion. “Witsel was an opportunity that emerged and with the collaboration of Zenit we submitted the player to a medical. In the end Zenit were unable to sign a replacement, so we consider this to be merely a delayed move. “Over the last few weeks Witsel has repeatedly stated he wants to come here and play for Juventus.